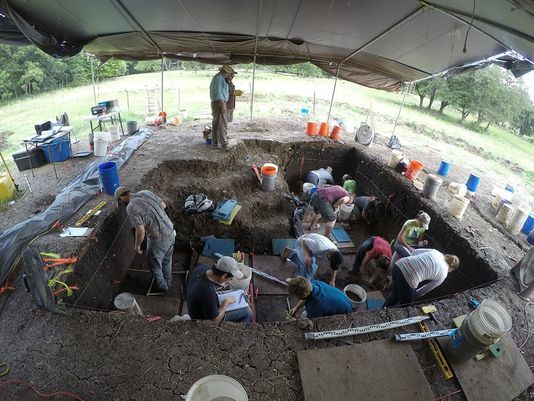 Spear points discovered at the Buttermilk Creek archaeological site in Texas have made archaeologists question their assumptions on when humans migrated to North America. The weapons are dated to between 13,500 and 15,500 years ago and are believed to be the oldest ever found in what is now the United States. Researchers at Texas A&M found the spear points, which are about three to four inches long, about 40 miles northwest of Austin. 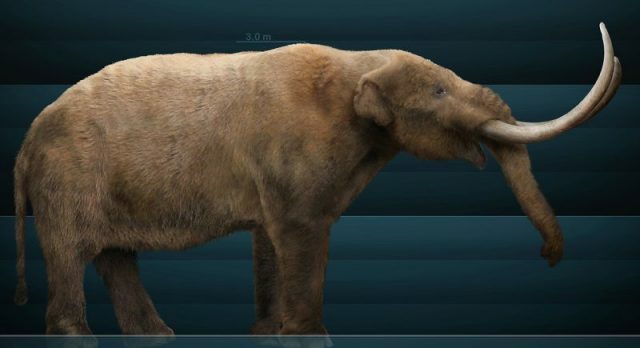 The weapons could have been used to hunt mastodons and mammoths. 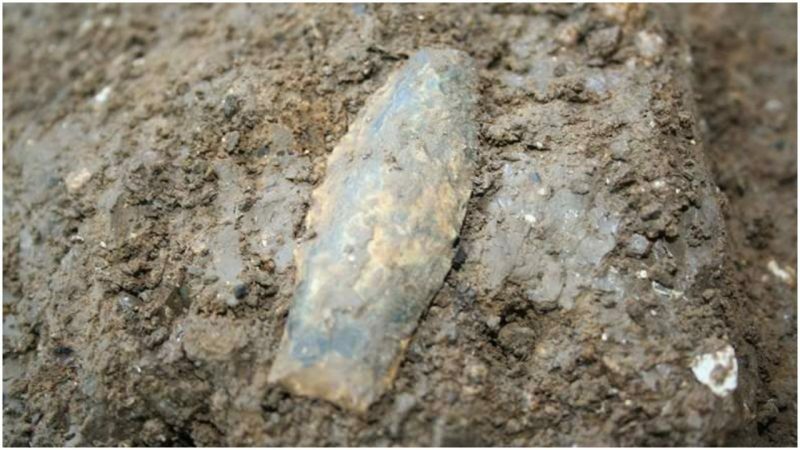 What is causing a stir is the weapons were found in layers beneath Clovis spear points, and the Clovis were believed to be the first humans to come to North America. Now scientists say that may no longer necessarily be the case. “There is no doubt these weapons were used for hunting game in the area at that time,” said Michael Waters, distinguished professor of anthropology and director of the Center for the Study of the First Americans at Texas A&M. The discovery is significant because almost all pre-Clovis sites have stone tools, but spear points have yet to be found. The spear points were discovered under several feet of sediment. 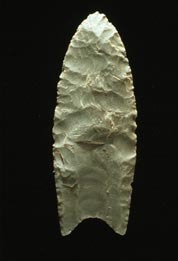 The Clovis people invented the “Clovis point,” a spear-shaped weapon made of stone that is found in Texas and other parts of the United States and northern Mexico. These weapons were made to hunt animals, including mammoths and mastodons, from 13,000 to 12,700 years ago, according to Science Daily. How and when the first people arrived in North America is debated. It is thought people migrated across the Bering Land Bridge, which once linked Siberia and Canada, around 20,000 years ago. Scientists believed the first Americans made it south of the continental ice sheets about 16,000 years ago and slowly spread out. Waters and his team are creating an environmental background so they can reconstruct the climate and vegetation in the region for the last 20,000 years. The hope is to build a picture of the first Americans. The team made their discovery at the Debra L. Friedkin site, named for the family who owns the land, about 40 miles northwest of Austin in Central Texas. The site has undergone extensive archaeological work for the past 12 years. “The findings expand our understanding of the earliest people to explore and settle North America,” Waters said. The Clovis won their name because of artifacts found near Clovis, New Mexico, in 1932. Other evidence included a mammoth skeleton with a spear-point in its ribs, found by a cowboy in 1926 near Folsom, New Mexico. 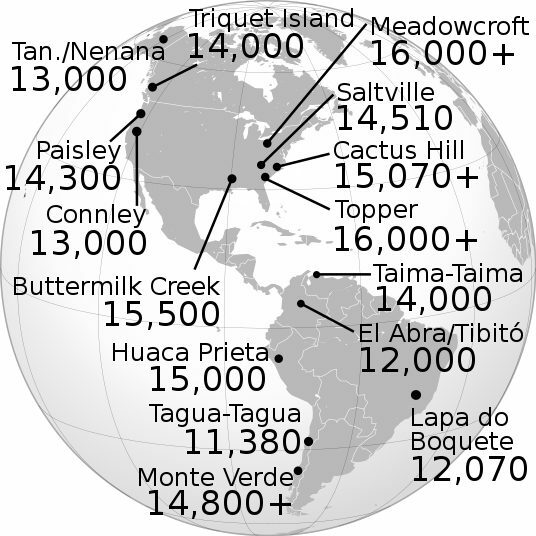 Clovis sites have since been identified throughout the United States, as well as Mexico and Central America. The Clovis people were generally regarded as the first human inhabitants of the New World, and ancestors of all the indigenous cultures of North and South America.